Friday afternoons were made for tea, cake and a little bit of live music. Are you a resident of Elmbridge in need of a little pick me up? Why not come and celebrate 70 years of Music in Hospitals & Care in Walton on Thames. Our Concert & Cake community event is open to all and perfect for anyone living in the local area who may be a member of a healthcare group, feeling isolated or receiving full or part time care. 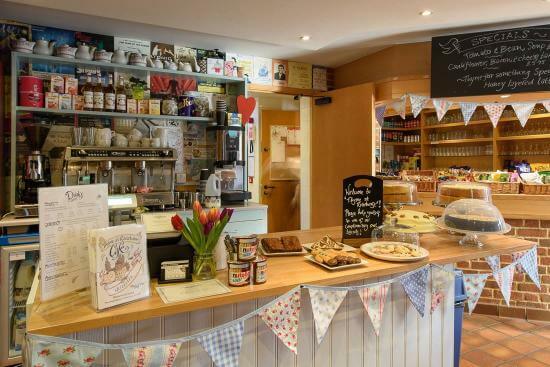 For a suggested donation of £5, you’ll be treated to an afternoon of live music in the beautiful Riverhouse Arts Centre, followed by a cup of tea or coffee and a slice of delicious cake. A wonderful event for all ages and abilities, Concert & Cake is funded by Walsingham Care and promises to liven up your Friday afternoon and create a social environment for everyone in attendance. Featured musicians Patricia Hammond and Matt Redman will be on hand to entertain you with an array of nostaglic and vintage music with a contemporary twist. To download a copy of the event poster, please click here. To reserve tickets please contact the Riverhouse Arts Centre through their booking page or by calling 01932 253354.